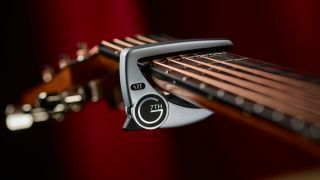 NAMM 2019: The UK’s G7th has announced the Performance 3 capo, which it reckons delivers “unrivalled tuning stability”. 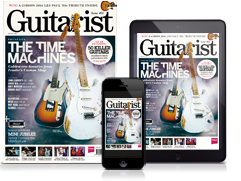 That’s down to the capo’s Adaptive Radius Technology (ART), which adapts to individual guitars’ radii and delivers even pressure across the strings, in combination with the company’s tension control system. ART has previously appeared on G7th’s premium Heritage capo, but this is the first time it’s appeared on a mass-market offering. The Performance 3 will be available in silver, satin black and 18kt gold plate finishes for $54.95/£39.95/€44.95 from March 2019. For more info, pop over to G7th.